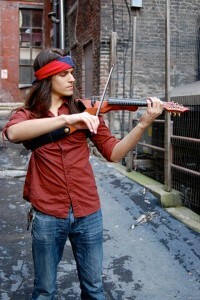 Michael Lucarelli is a Commercial Viola Major at Belmont University. While still reverting to his roots with Hindemith and Hoffmeister concertos, Michael enjoys performing and discovering all styles of music ranging from Rock to Bebop to Carnatic music. Michael is a member of the Nashville based, all electric string quartet, Harbingers of Awesomeness.